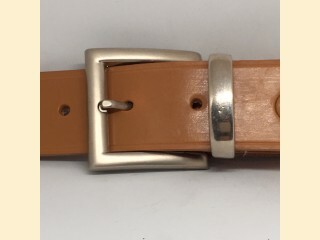 A neat modern belt with brushed silver coloured buckle and keeper. Strong and sturdy. 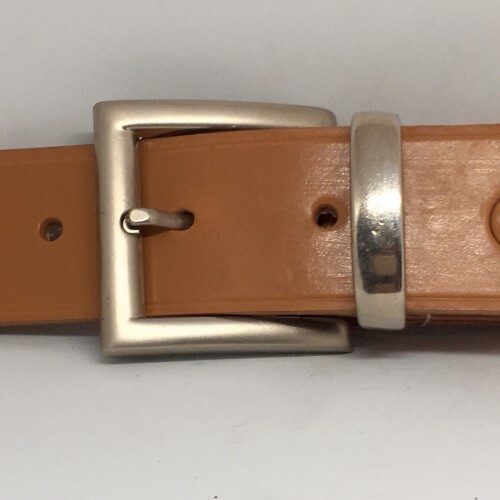 Available in 1.5” width.